New York – January 3, 2019 – BBC AMERICA’s Killing Eve will return for its highly-anticipated second season on Sunday, April 7th at 8pm/7c, the network announced today. 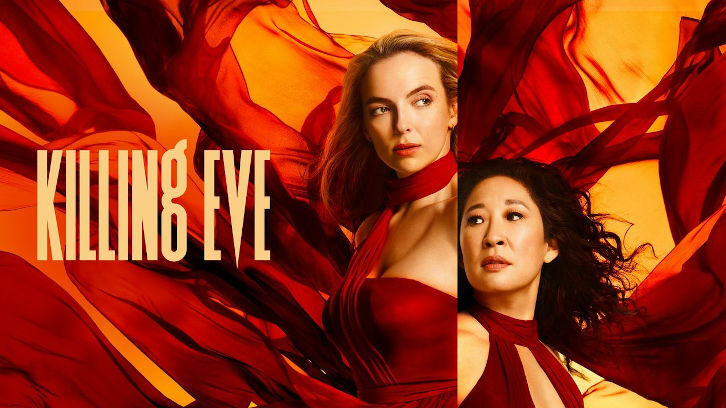 Sandra Oh and Jodie Comer reprise their critically-acclaimed performances as Eve (Oh), an MI6 operative, and psychopath assassin Villanelle (Comer) in this story of two women, bound by a mutual obsession and one brutal act. Beginning just after the end of the final episode of season one, Villanelle has disappeared, and Eve is left reeling, having no idea if the woman she stabbed is alive or dead. With both of them in deep trouble, Eve has to find Villanelle before someone else does…but unfortunately, she’s not the only person looking for her. Killing Eve finished out 2018 as the top drama on Metacritic’s “TV Shows Mentioned On Most Critic Top 10 Lists – 2018.” The series is produced by Sid Gentle Films Ltd. Killing Eve has been nominated for a Golden Globe® and a Critics’ Choice Award, with Sandra Oh nominated for Emmy®, Golden Globe®, Critics’ Choice and SAG® awards for her performance as Eve, and Jodie Comer nominated for a Critics’ Choice Award for her work as Villanelle. The series finished its first season with an unbroken record of weekly ratings growth in the key adults 25-54 and 18-49 demos – something no other show on television has accomplished in the history of Nielsen live+3 ratings. The finale delivered series highs with 1.25 million viewers in live+3, up 86 percent from premiere, with 545,000 adults 25-54 and 378,000 adults 18-49, up 127 percent and 100 percent from premiere, respectively. The season finale in May was also the #1 most social drama of the day. The series is based on the Codename Villanelle novellas by Luke Jennings and is executive produced by Sally Woodward Gentle, Lee Morris, Phoebe Waller-Bridge, Gina Mingacci and lead writer Emerald Fennell. Sandra Oh and Francesca Gardiner are co-executive producers. Elinor Day serves as series producer. Damon Thomas returns to direct and is also executive producer, with Lisa Brühlmann and Francesca Gregorini also directing. The series is distributed by Endeavor Content.